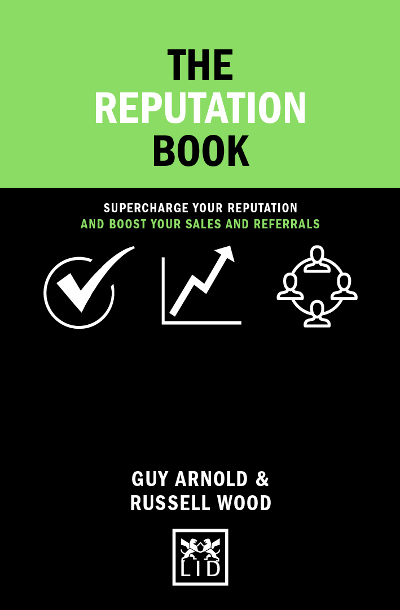 We are witnessing the new age of empowered customers, armed with online reviews, five-star ratings and social media, never has it been more important to manage your reputation and referrals.This book is for anyone who wants to systematically build their reputation and increase their referral sales whilst delivering a consistent and continually improving customer experience. Put together in a simple, clear, no nonsense way, with step by step instructions on what to do along the journey. The information is based on over 10 years coaching, advisory and training experience in the area of feedback, customer experience and referrals, and all the advice is underpinned by real life experience and examples …and continued doses of common sense! Guy is the published author of Great or Poor, and Sales through Service. He works with Business Advice Organisations, offering simple and hugely powerful guidance as well as referrals and reputation sales. Russell is a professional trainer and business advisor for SME, national, FTSE 100 and private companies working in B2C and B2B environments.